A peaceful presidency. Over-shadowed by his predecessors. A quiet, determined man. These are words I use to describe the Virginian holding the executive office between the years 1817 and 1825. James Monroe, the 5th President of the United States. 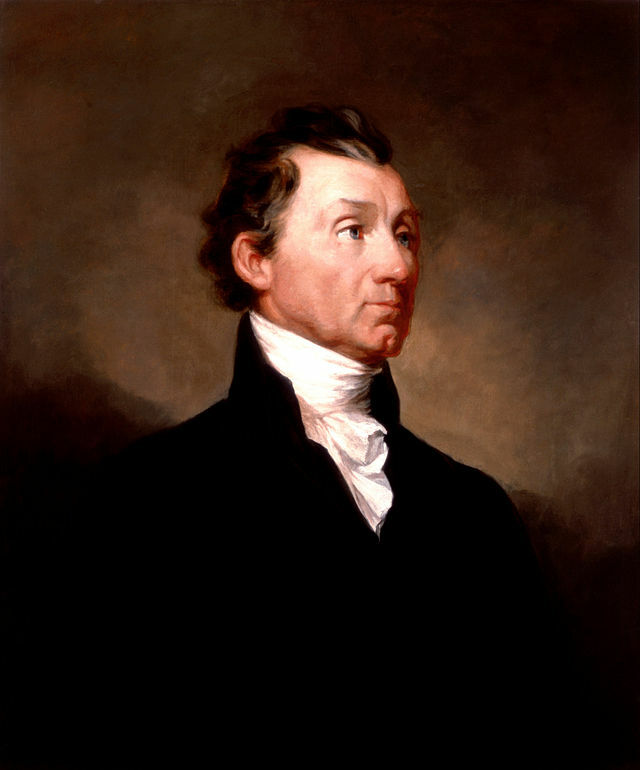 James Monroe held office during “the era of good feelings” in American history. It was a time of prosperity – the national government was running smoothly, three years before America had once again asserted the right to be free by winning the War of 1812 (fought between 1812-1814) against Great Britain, and pioneers where beginning to look toward the western territories for new lands to explore. Probably the most memorable event of Monroe’s presidency was the Monroe Doctrine in 1823, which laid the foundation of American Foreign Policy. During this period of American history, neutrality was the widely accepted view on foreign affairs. (Note: the author is not promoting any political views, simply sharing the historical facts; everyone will have their own opinion on political policies and topics). However, the Monroe Doctrine, although fitting into the popular neutrality ideas, laid an important precedent. It stated that European nations could not colonize or interfere in political affairs of the nations in the Western Hemisphere. The doctrine was prompted by South American countries declaring their independence and the United States wishing to preserve the independence of all former European colonies. It was like saying (very nicely, of course) “European Countries: Stay Out! You have the Old World; the New World wants independence.” Although it was fortunate none of the European powers decided to seriously test the United States’ strength on this doctrine, it set a precedent that later presidents upheld. Later, in American history, we see American leaders (political and military) stepping forward to defend a nation, people group, or area. Therefore, although the Monroe Doctrine was a message to keep European nations out of the Americas, it was also one of the first times, the United States sent a clear message to the world about where we stood and what we would defend. Once upon a time I was in Charlottesville, Virginia. I’d visited Monticello (Thomas Jefferson’s home) and then took a little drive down the country road to a place called Ash Lawn Highland. 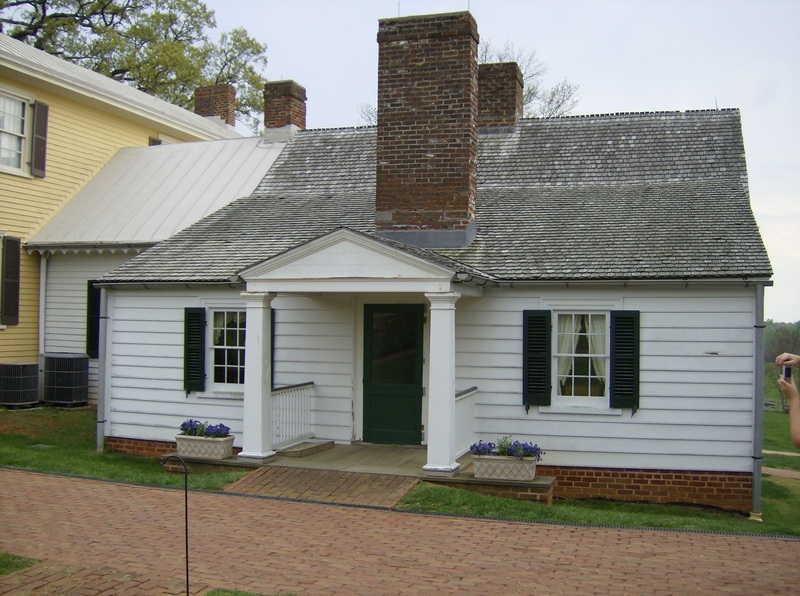 Having seen the grandeur of Monticello, I’m not exactly sure what I expected at Ash Lawn, but it certainly wasn’t what I saw: a simple, quaint country house. And I loved it! I think many people tend to overlook James Monroe; his presidency was comparatively uneventful: no war, no crisis, no great drama on the world stage. However, when I think about James Monroe, I’m reminded of the American ideal – that a common citizen can lead a nation. This is not a place where royal blood guarantees power. 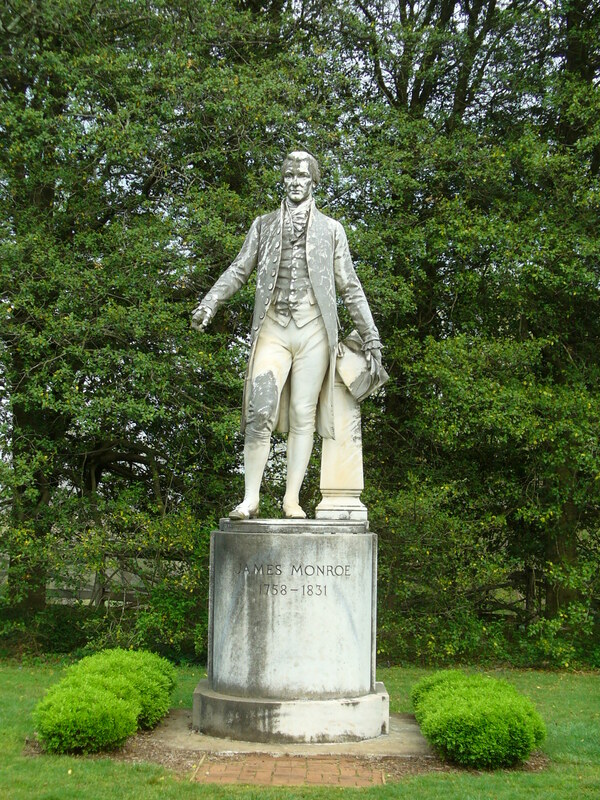 James Monroe served his nation during the War for Independence and during the formative years of the American government; he served quietly, responsibly, and was greatly respected. In later decades, people remembered James Monroe’s presidency as an “era of good feelings”…a time when Americans prospered in safety with a humble, quiet, yet decisive man in the executive office. P.S. What do you think about precedent of the Monroe Doctrine? Leave a comment. Don’t forget to the check the Facebook Page for additional information about James Monroe and other presidents. And…lastly…there’s Civil War Living History at the Lincoln Memorial Shrine. See ya’ll there? While I tend to agree with you that Monroe was an excellent president that is often overlooked by history (he was actually almost unanimously reelected president and only had one dissenting vote because that electoral college member felt that the legacy of unanimity ought to be reserved for George Washington alone), I disagree to an extent regarding the Monroe Doctrine. Although it bears Monroe’s name it was really the brainchild of John Quincy Adams who in many ways was one of the best policy minds of his times and who is largely overshadowed because of the feud he had with Andrew Jackson. Monroe was certainly an intelligent man but he was more of an intellectual than an administrator. Thank you for pointing out the details of Monroe’s re-election. I am aware that John Quincy Adams suggested the Monroe Doctrine and that James Monroe basically used the exact wording suggested by Adams. Perhaps I should have been more clear on this topic. However, I find it significant that Monroe actually put forth the document. He took good advice, made a decision, and acted upon what he believed right. Maybe an additional principle here is to listen to wise council of those around you…like Monroe taking Adam’s advice. I understand and appreciate your comments. Thanks.